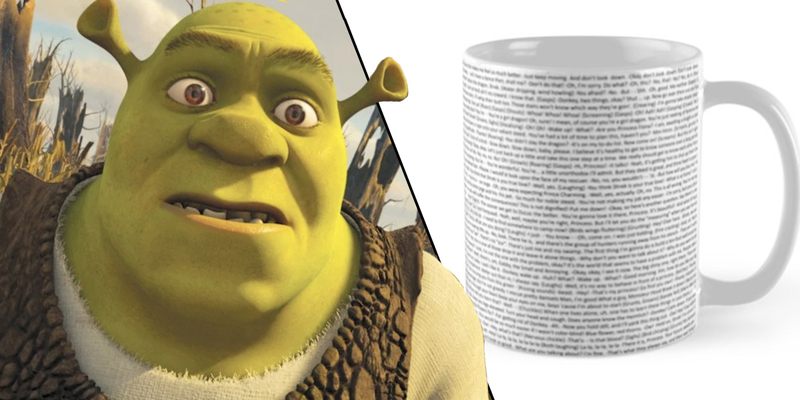 Somebody once told me you can now buy a mug with the full Shrek script on it but I ain’t the sharpest tool in the shed so didn’t believe them. So I was looking kind of dumb with my finger and my thumb in the shape of an L on my forehead when they sent me a link to that very mug. Well, the shocks started coming and they didn’t stop coming as I soon realised you could also get t-shirts, travel mugs with the Shrek script on them as well. There’s just so much Shrek merch to do, so much to see and you’ll never know how good these mugs are if you don’t go, and you’ll never shine if you don’t glow. Hey now, you’ can buy a Shrek mug so get your game on, go play. Hey now, you’re a rock star, get the show on, get paying for a Shrek mug. That was was totally worth it as a writer and does not disrespect the entire field of journalism. Anyway, as it’s impossible to include any more Smash Mouth (for my money the greatest American-Canadian rock band from San Jose in history) lyrics in this article, let’s do this properly. RedBubble, the purveyor of wonderful geeky merchandise (#notspon but it could be. RedBubble, hit me up) are selling this piece of cinematic history for the low, low price of £16.35. Now I know what you’re wondering, ‘How can you fit a whole script on a mug?’ and ‘Does it really have the whole script on it?’ Well, to that all I can say is, ‘buy it and find out’. Personally, I can’t think of a single reason not to keep a copy of the Shrek script on a mug. In fact, now that I think about it it makes sense because it means in the event your paper copies are destroyed in a swamp related incident you’ve got a spare copy. 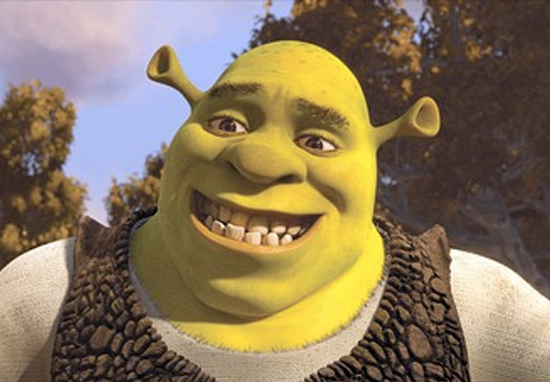 Picture the scene, you and your Shrek reenactment group are walking through the wetlands, listening to Smash Mouth and making sure no fairytale creatures are in ‘mah swamp’ when disaster strikes. Gareth, who’s played Donkey for the last six months, drops both your copies of the script in the mud. 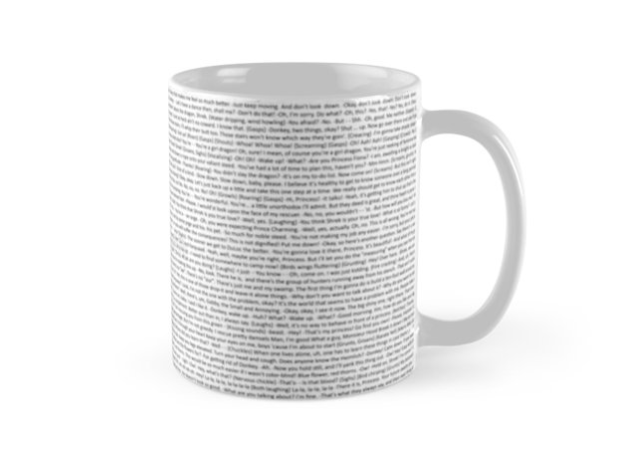 If you don’t buy this mug you’re snookered and will have to return to the local library to print off another copy of the script. But if you were carrying this mug in your Ogre’s bindle, like a well prepared Shrek reenactor should, then you and your group of friends could use that instead! It just makes good, practical sense to be prepared for any situation. Now if you’ll excuse me I’m off to finish watching Shrek on Netflix.